A nurse is basically a healthcare professional whose job is to take care of the sick or injured people. Nurses usually perform their duties in the hospitals; however, there is a category which works as private nurses. 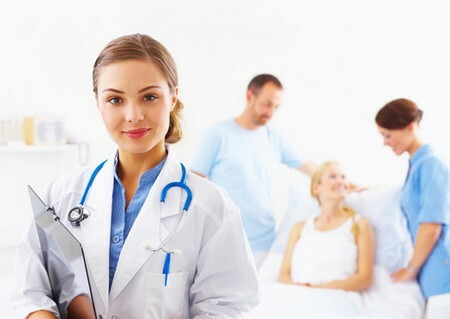 These healthcare professionals serve the mankind in clinical or non-clinical problems. There are so many different types of nurses who perform different jobs depending on their field of specialization and training. These are the nurses who specialize and get training in almost all the major areas of health care. They are in fact categorized as general nurses who perform all the normal tasks. Licensed practical nurses work in hospitals, clinics and nursing homes. The major responsibilities of these nurses are to check the medical status of patients, give injections, make dressings and assist the doctors in operation theatres. The job of these nurses also involves taking care of personal hygiene of a patient, feeding and so on. Licensed nurses can be hired for by people to supervise over the patient privately. As licensed practical nurses don’t get intensive training on any particular field, they are not assigned jobs that require much training and knowledge. The only different between the licensed practical nurses and registered lies in their training. The former gets a routine training to carry out basic stuff while extensive training is involved with latter type. Registered nurses are not only involved in providing routine support to the patient but also help the patient and his family to get out of the emotional trauma. Their job is to keep the family of the patient up-to-date with the condition of the patient and also provide them the necessary information regarding the disease. Registered nurses usually specialize in certain healthcare fields such as some work in ICUs, some work only in cardiology department, some work as pediatric nurses and there are many more. Certified nurse assistant are the nurses who works as an assistant for the registered and licensed practical nurses. The focus of their job is to look after the patient, keep a record of the patient’s health and inform the registered nurse about the most recent status of the patient’s health. Other jobs include: feeding, bathing, dressing, making their beds and make certain that the patient is getting proper on-time medication. Normally, these nurses work in hospitals and nursing home but they are often sent to patient’s home in certain conditions. Travel nurses are essentially registered nurses who visit different hospitals and offer their services to fill any vacant spaces which are created as a result of someone going on leave or shortage of staff. As we know that registered nurses get extensive training, they can perform high profile tasks. They are so trained that they can take any vacant space for nurse in the hospital. Although, they work on temporary or part time basis, they still get very high pays and salaries. Certainly, the job of travel nurses is quite refreshing and interesting as they have to travel from hospital to hospital, cities to cities or towns to towns to offer their services and also get a chance to meet different people and learn many new things. Public health nurses are registered nurses who specialize in the medical field of community health. The job of public health nurse is to help the people by providing them useful information about different health issues. Public health nurses visit schools, colleges, homes, and community centers to make people aware of certain health problems and teach them how to prevent these problems in a long run. Nurse practitioners are the nurses who get extensive training in their respective field. Their training involves special courses in medicine which allow them to work well in the absence of doctor. They can even prescribe medication to the patients as well in the absence of qualified doctors. Critical care nurses are the nurses who work in emergency rooms or in the ICUs. These nurses are also highly qualified and trained.